Veteran owned and operated, we pride ourselves on our customer service, timeliness and professionalism. We want to be Number #1 in providing for the entertainment and recreational interests of our customers in the Pacific North West. For more info see our "About Us" page. When you're responsible for planning your organization's special event or a family celebration, you'll want the experience and resources you'll get from IEP Inflatable Event Professionals Party Rentals. Conveniently located near Tacoma, with one call you'll get the assistance that will guide you through the decisions that need to be made to make your event a success. 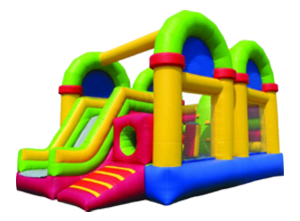 Inflatable Bounce Houses and Water Slides, games, concessions, and party equipment ready to go to work for you. 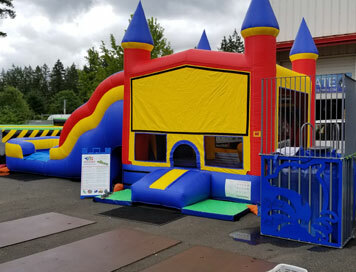 IEP Inflatable Event Professionals is a veteran owned and family operated Spanaway business and with that comes the professionalism and character you can count on. We show up on time and setup your party or event with safety as our number one priority. 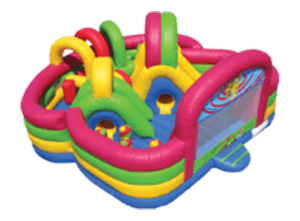 We are licensed, insured, and inspected by the State of Washington, so you can count on your inflatables, games and all your equipment rentals to show up cleaned and sanitized. Call IEP Today! 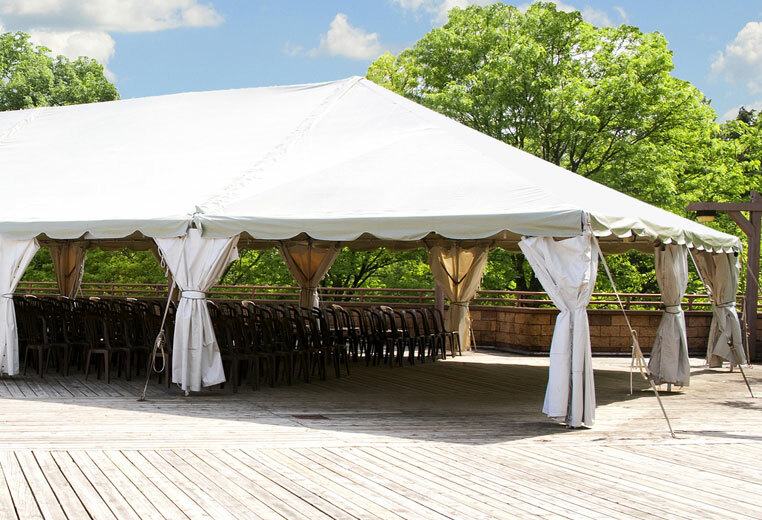 We want to make sure you get the best value for your party at IEP, so we have created discounted party package that are packed with popular rental items and priced to fit every budget. We provide everything you need to keep kids and adults happy and entertained. We have the experience and resources to create a special and memorable event. Do you have special requirements, we'll create a special package just for you! Serving Tacoma and the surrounding areas. 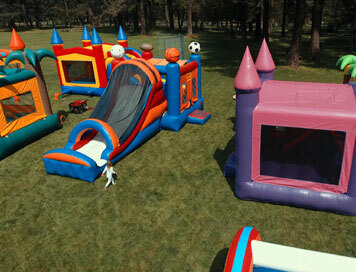 Get your team together and take the ultimate challenge with one of IEP's inflatable obstacle course rentals Tacoma. 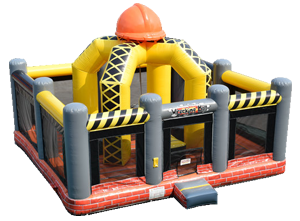 These large colorful and fun packed obstacle courses are great for all ages and are as much fun to watch as they are to participate. 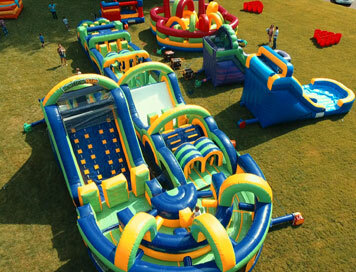 Get your inflatable obstacle course today! 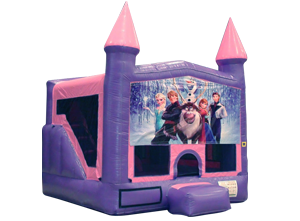 We also offer other great rental items including the best selection of inflatable bounce houses. You provide the guests and we will bring the fun to your event. 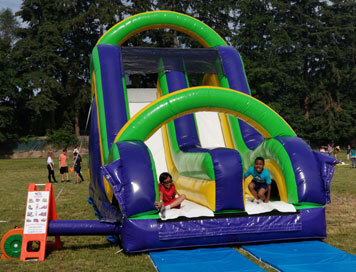 Water slide rentals are your best choice for a wet & wild time on a hot Tacoma summer day. These large inflatables demand attention and will quickly become the centerpiece attraction at your next event. 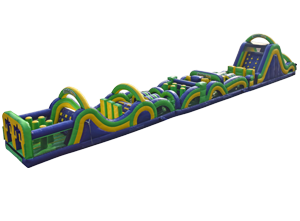 We carry different sizes of water slides, to fit the needs of all age groups. Choose from our 18’ Tropical Water Slide down to our pre-teen options for the younger guests. Or give our Dunk Tank rental or an inflatable Slip N Slide a try. 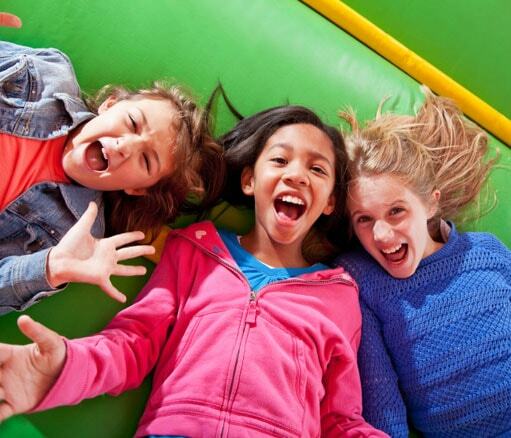 Combo bounce house rentals in Tacoma allow you to get the best value with the maximum amount of fun. These inflatable rentals combine the popular bounce house with additional features like slides, hoops and more! 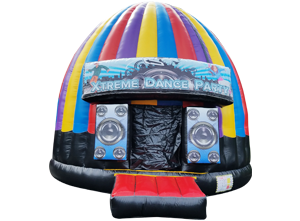 We also have units specifically for the smaller of your guests, our pre-teen inflatable bounce house rentals have features that keep young ones safe and allow parents to keep a close watch on all activities. Bright colors and graphics, with simple skill games. Inflatable interactive games are a great way to pump up the excitement at your celebration. Good for all ages these games will keep your guests entertained for hours. Choose from the Wrecking Ball, Giant Ring Toss, golf, soccer, basketball and the ever-popular Galaxy of Games for your next party or company event. 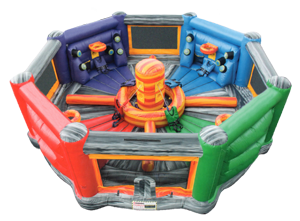 We also have a great selection of carnival games and giant yard games. Serving Tacoma and the surrounding areas. 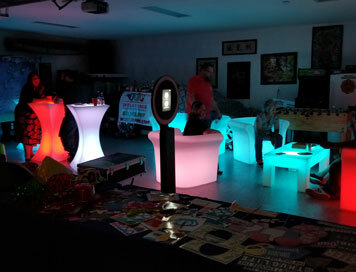 LED Furniture rentals are ready for your next special event in Tacoma and the surrounding areas. Create an awesome outdoor gathering area for your guests that will be the most memorable and talked about event of the year. 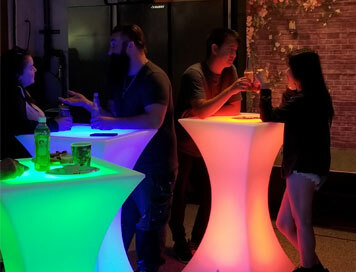 Our LED color changing furniture pieces bring added light, color and fun to your event and at the same time provide you with extra seating, table space and more. Create a perfect look by adding one of our colorful tents. 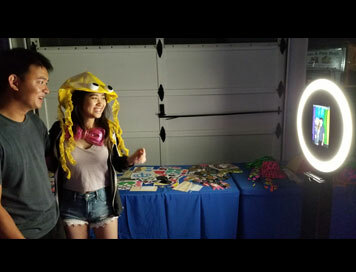 Our selfie photo booth is the perfect addition for your Tacoma event and provides a WOW factor for every type of party. : It comes with the Light Ring Picture Kiosk and there are several upgrade options. You can add a cloth background, order an inflatable photo booth or our photo wall. Our Photo Kiosk, allows your guests to determine how the photos will look. Use actual props or add in Virtual props like hats or glasses. Take your pictures and then text or send to yourself via email. You can take pictures, videos and GIF’s. 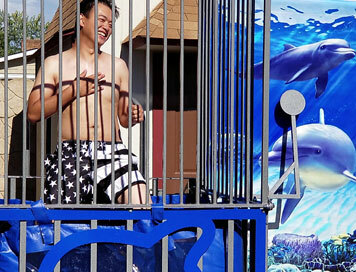 Renting a dunk tank has never been easier. 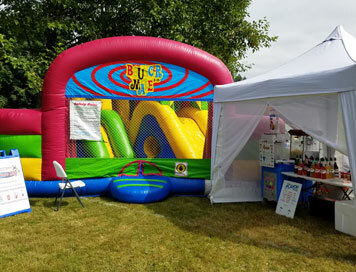 Inflatable Event Professionals now offer a portable and collapsible dunk tank rental in Tacoma and the surrounding areas. 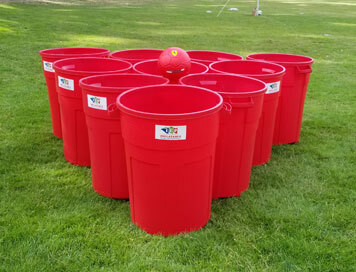 It is a perfect addition to your next school field day, church social or company picnic. You will see a long line of kids and adults waiting to dunk their principal, teacher or their boss. Our dunk tank is sure to be a big hit at your next Spanaway event. 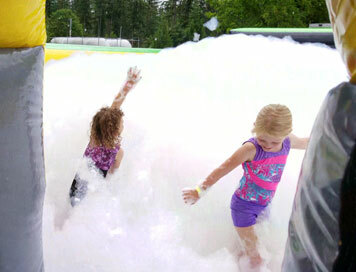 When it comes to foam party rentals in the Tacoma and Spanaway areas, Inflatable Event Professionals offers several great options. Tired of traditional entertainment at your events? 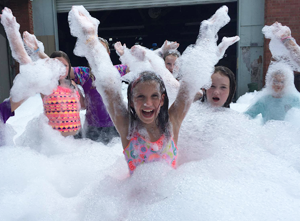 Foam parties will add a new twist to any party or type of event and are perfect for everyone! 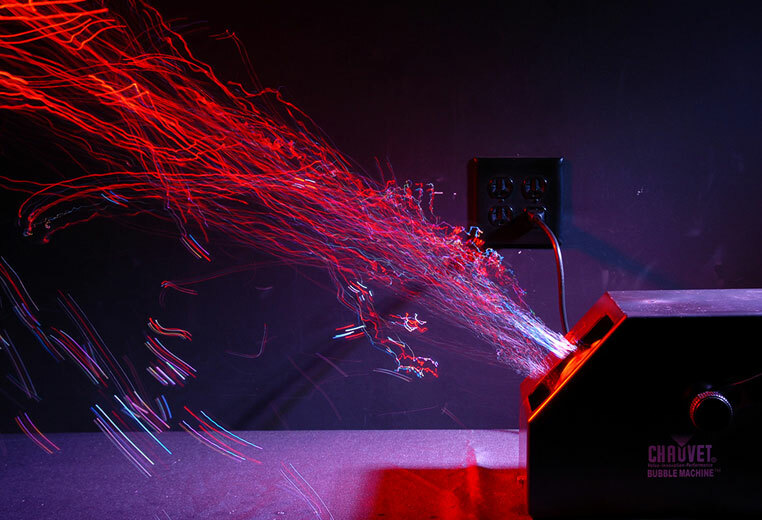 Our foam machines produce mountains of foam in just minutes. This is the best alternative to traditional summer pool parties. Check out our options and take your event to the next level. 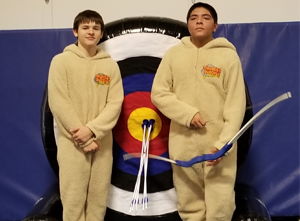 Here at IEP you will find a variety of time-tested games and activities that will provide thrills and fun for your family celebration or school and church carnivals. These simple skill games are great for all ages. Rent one or rent them all for carnival midway fun in Tacoma! 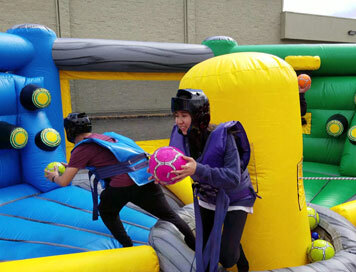 Want Inflatable and interactive games choices for your event? 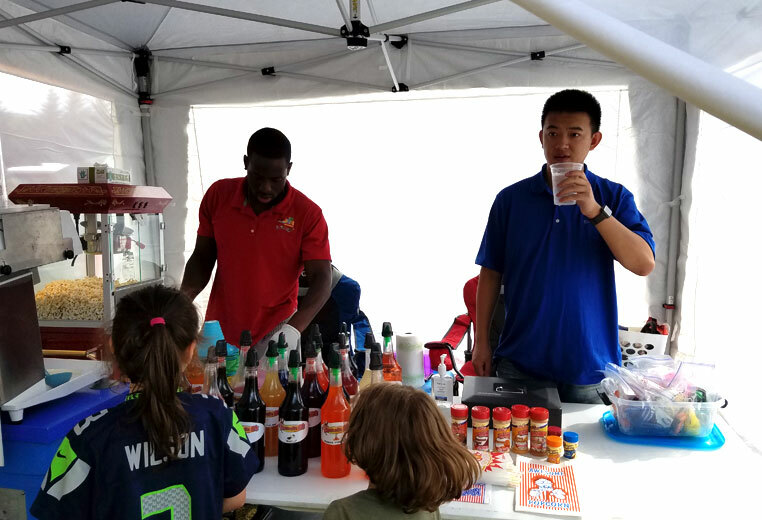 Our staff can assist you in putting together a fun and challenging game day event. When it comes to inflatable slide rentals Graham, you can’t go wrong with Inflatable Event Professionals. Our inflatable slides are great for all ages, from children to adult. Inflatable dry slides are a perfect addition for large events as they have a constant flow of guests going in and out of the inflatable. Our fun slides are perfect for keeping everyone entertained at your event. When you hear the words party – do you immediately think about kids’ types of parties? This party zone is tailored for adults who want to spend time with family and friends to celebrate and party. We have LED furniture to jazz up your event, a photo booth to save pictures and memories from your event and games for the adults to play (no children allowed). Let Inflatable Event Professionals assist you in planning your next event in Tacoma and the surrounding areas. 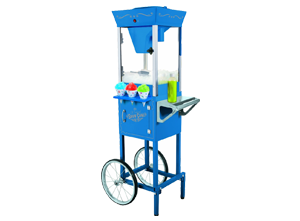 Now you can serve your guest time-honored favorites like fresh popcorn, and sno-kones. 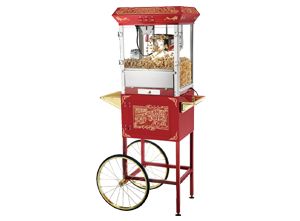 Our concession machines are easy to use and will arrive at your event cleaned and sanitized ready to work. Watch the smiles on your guests faces when you bring out the Fun Food! Here you'll find those extra items you might not have thought of; but we did! Get generators for power supply when you have your celebration at one of our beautiful parks, and special equipment like our bubble maker, or pro grade projector and sound system.